This year has welcomed a number of classy and edge cutting smart-phone. It started with Sony Xperia Z. Since then we have seen Galaxy S4, HTC One, Lumia 920, Blackberry Q10,LG G2 and iPhone 5s. Now, as the 2013 draws to a close, we’re witnessing the emergence of a new breed of Android smartphone, with bigger screen, fast new Snapdragon and larger batteries. It’s time for Sony Xperia Z1. Previously going by the code-name Honami, the Sony Xperia Z1 is the follow up to the waterproof Xperia Z, with same 5-inch display and similar metal frame. 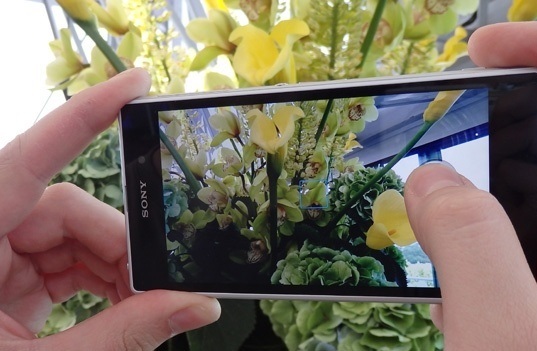 With only a glance the Sony Xperia Z1 may look identical to its predecessor. But a close look will definitely make you understand the modification. There’s the much improved aluminum frame with curved metal sides, making the experience of holding and pocketing the device much more pleasant than before. The front and back of Z1 are mostly featureless with each side of phone having housing ports, connectors and other gubbins. Down below is the device’s single loudspeaker which is reasonably loud and not too tiny along with a hole drilled in one corner for the addition of wrist strap. 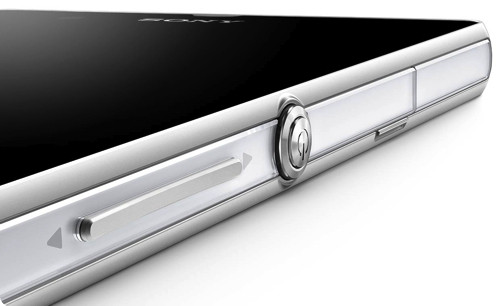 On the right edge there’s Sony’s trademark rounded metal power button and two-stage shutter key, which also serves as a camera shortcut button. 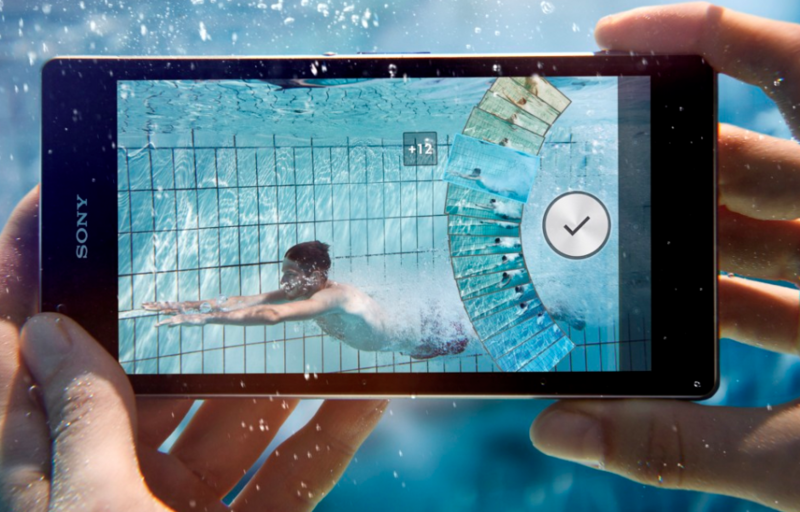 Like the Xperia Z, the Z1 is completely waterproof with a IP58 certification, surviving at a depth of 1.5 metres for up to 30 min. It achieves total waterproofing by covering its main ports with rubberized flaps. With a screen of 5-inch and rear camera of 20.7MP, the Z1 weighs 169 g with dimension of 144.4 x 73.9 x 8.5 mm – a bit taller than Xperia Z. 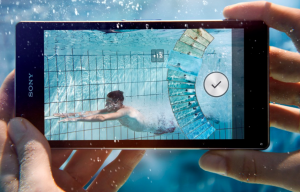 The Sony Xperia Z1 has all connectivity options you’d from high-end smartphone. There’s Wifi, Bluetooth 4.0 along with DC-HSDPA and LTE support. The Z1 packs a 5-inch, 1920×1080 LCD display with Sony’s “Triluminos” technology. With 441ppi and 16million color contrast ratio images are well detailed providing a fantastic view. It’s bright enough to scorch out your retinas too, once you ramp it up, but still manages to maintain color tones. Viewing angles aren’t brilliant though. The Z1 screen supports 10-finger multi-touch and for getting around the homescreens, pinching and zooming images, browsing the web and typing on the keyboard, therefore offers a good response all round. 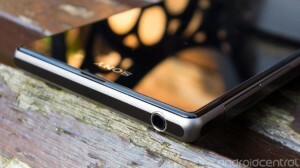 The Sony Xperia Z1 runs Android 4.2.2 Jelly Bean alongside the latest iteration of Sony’s UI. 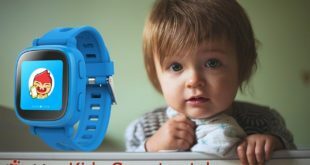 It’s pretty much similar to its previous model with few new features. Feature-rich lock screen that lets you add up to six widgets that can be seen without needing to unlock the phone. The “Personalization” screen now includes the ability to customize Quick Settings. A new menu on the app drawer makes it easy to organize, uninstall and search for apps. Finally, there’s more control over “small apps” that you can run in re-sizable windows on top of your home screens. Sony’s “smart action” is back allowing you to automate certain tasks such as muting the speaker when charging at night. 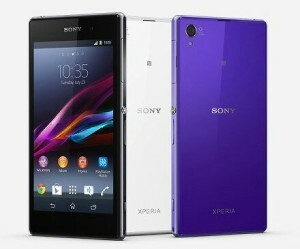 The Xperia theme is alive and well loaded on the latest handset. The camera is one of the key areas that have seen an upgrade. The Xperia Z1 packs a 20.7 MP rear camera, 1/2.3-inch Exmor RS sensor behind a Sony G lens giving it the highest megapixel count of any Android smart-phones. The image quality from Z1 is generally good across the board. Despite the presence of a 20-plus megapixel camera, the Sony camera app is focused on taking over-sampled images at eight megapixels (in either 4:3 or 16:9 aspect ratios). It’s the same principle (pixel binning) that Nokia’s employing on its latest Lumia 1020 handset — get a more accurate image at a reasonable resolution by combining several pixels into one. However, camera is particularly vulnerable to hand motion because of lack of optical image stabilization(OIS). Video performance on the Xperia Z1 is solid across the board and you get smooth 1080 p footage at 30 frames per second, even in relatively low light. Starting with performance, the next-gen 2.2 GHz Snapdragon 800 (with 2 GB of RAM) beats the Xperia Z’s Snapdragon S4 Pro in all the main benchmarks. 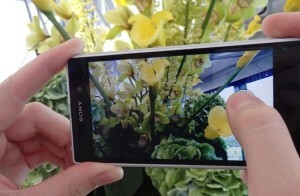 Sony’s implementation of the Snapdragon 800 results in benchmarks scores that beat the Snapdragon 600 in the Samsung Galaxy S 4 by a huge margin. The improvement in battery life is even greater. The Sony Xperia Z1 packs a gigantic 3000 mAh internal battery. With a 5-inch display, along with heavy use consisting of couple of hours of web browsing taking HD videos and photos the Xperia Z1’s battery did not disappoint. 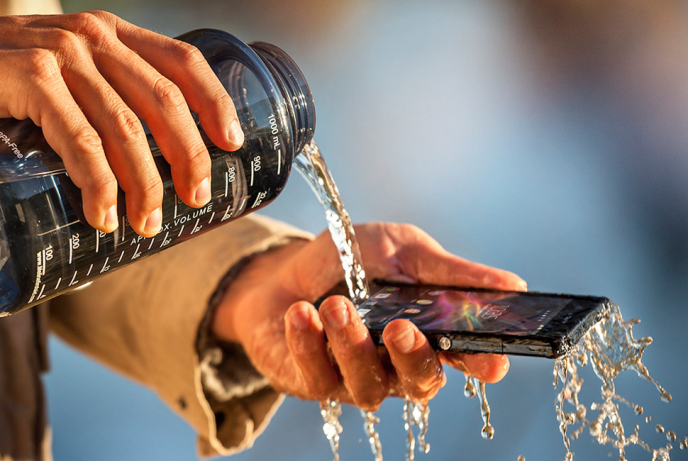 The Sony Xperia Z1 is slick, waterproof design, its good screen and of course its monstrously powerful processor make it a hugely impressive phone, easily justifying its flagship status. Sony’s no longer behind the curve when it comes to raw hardware specs — though as evidenced by the screen’s viewing angle issues, it still has some catching up to do in places.